No, it's not a volcanic eruption, but with the light show that followed that evening, it might as well have been. We were in the high desert of New Mexico at Bandelier National Monument, and the monsoons had arrived early. The lightning flashed every second or two for hours that night. It was magical. 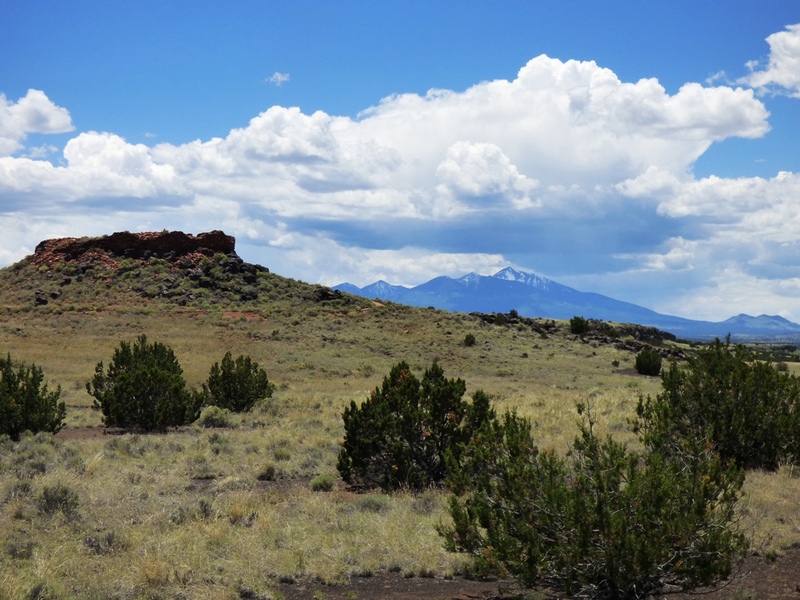 I'm back from a long, but epic journey with my students through one of the most intriguing landscapes in North America, the Colorado Plateau. We crossed the California deserts to Arizona and New Mexico, swinging north through southwestern Colorado and southern Utah. 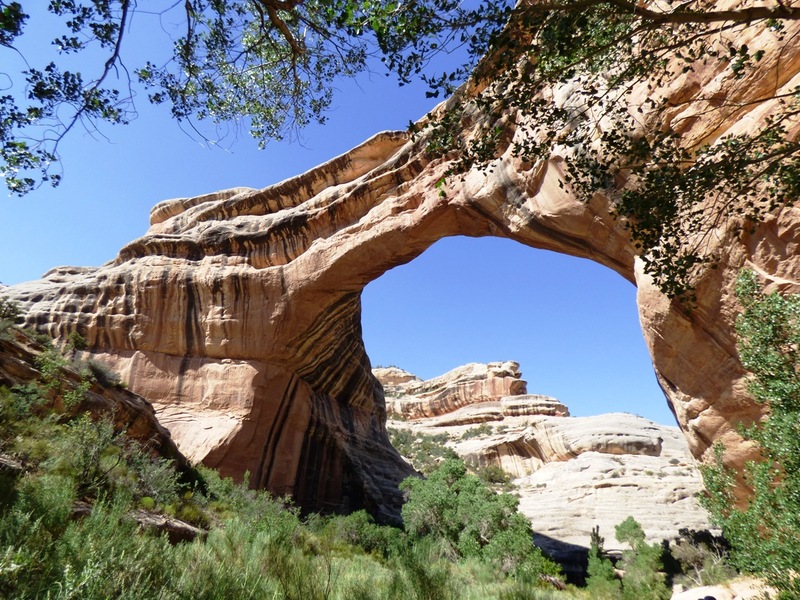 Our last few days brought us through the Basin and Range Province of western Utah and Nevada. As with all trips, I try to do new things whenever I can, but the real purpose was to open a different world to our students. This class was a hybrid course that explored the geology and archaeology of the region. It's a marvelous region for doing such a class, as humans have impacted the landscape, and the landscape has left its mark on humans. The land has seen a parade of cultures over the centuries. Understanding why they abandoned the region in the past has a lot to do with understanding the limits of life there today. Sometimes the problems are the same. 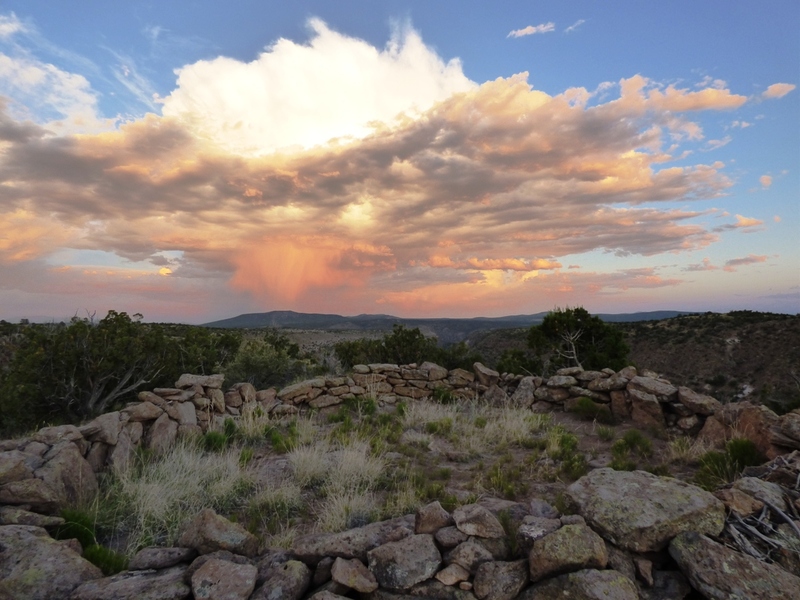 The Ancestral Puebloans may have left because of 25 year drought. We are in the midst of a 15 year drought today, although we experienced a very short reprieve from the dryness. A lot of ran fell in the weeks before our arrival. The desert was unusually green for this time of year. Meteor Crater was impressive as always, a reminder that sometimes situations on our planet change in a hurry. 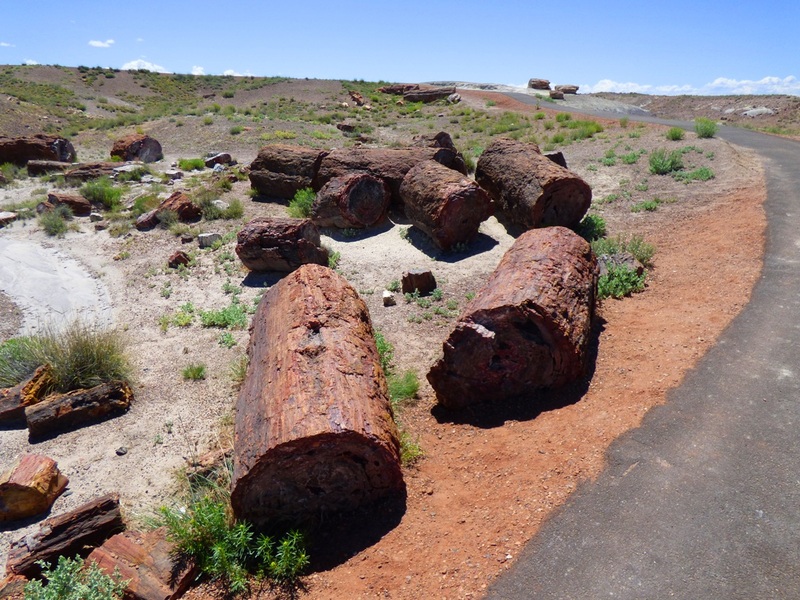 Some of our stops were familiar to most people, such as Petrified Forest National Park. People may have heard of it, but many haven't visited. 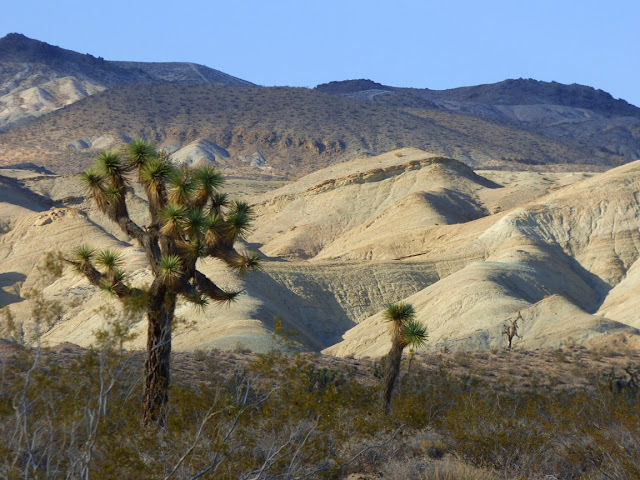 It's a bizarre landscape of badlands topography and horizontal forests of trees that wouldn't be out of place in the Redwood forests of California, yet are more than 200 million years old. Other places are exceedingly obscure, although they don't deserve to be. Kasha Katuwe Tent Rocks National Monument is one of those places. Unless you are from Cappadocia, Turkey, it is one of the most unusual landscapes you'll ever see. 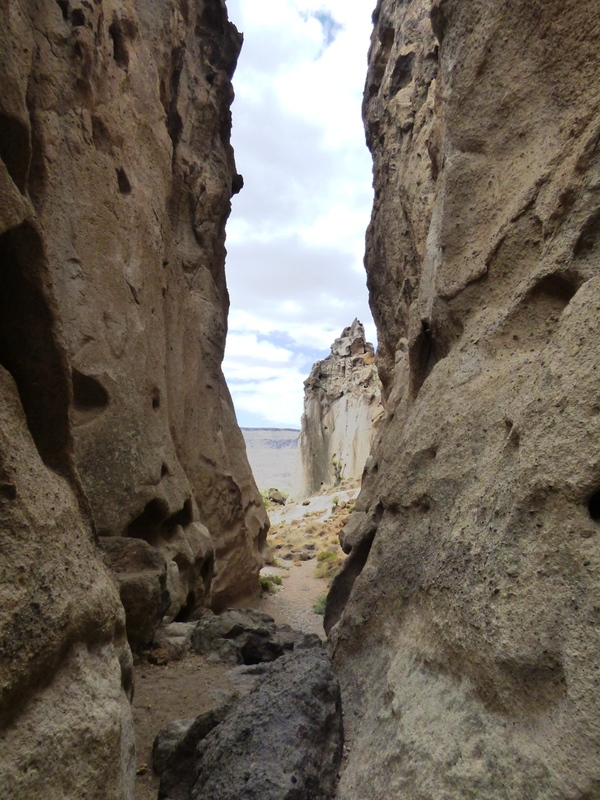 The slot canyon is one of my favorite hikes anywhere. The greenery was really pretty stunning after fifteen years of crippling drought. The drought is not broken by any means, but the rainy conditions over the last few weeks allowed us to imagine this landscape under a different climate regime. 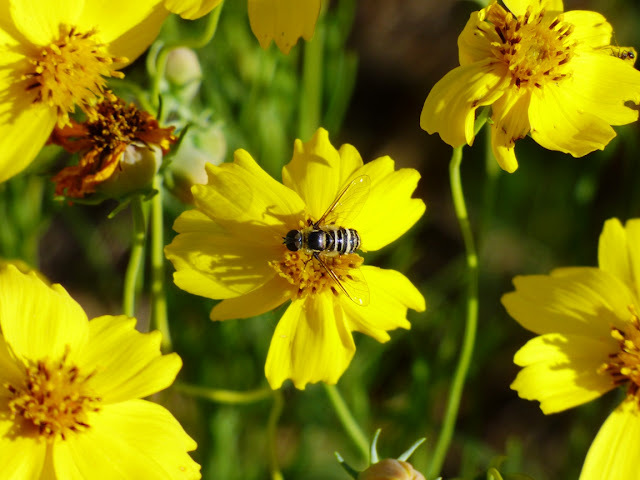 At Chaco Culture National Historical Park, the rangers described the plant growth as the most intense they had ever seen. The elks wandering near the campground were looking downright fat (of course the doe was probably about to drop a calf). 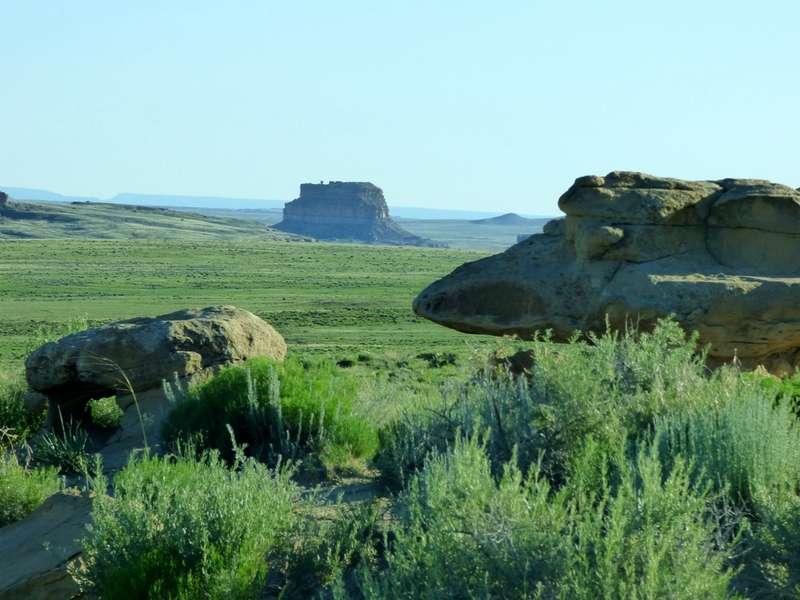 Chaco Canyon represented the height of the political power of the Ancestral Puebloans, in the period around 1150 AD. 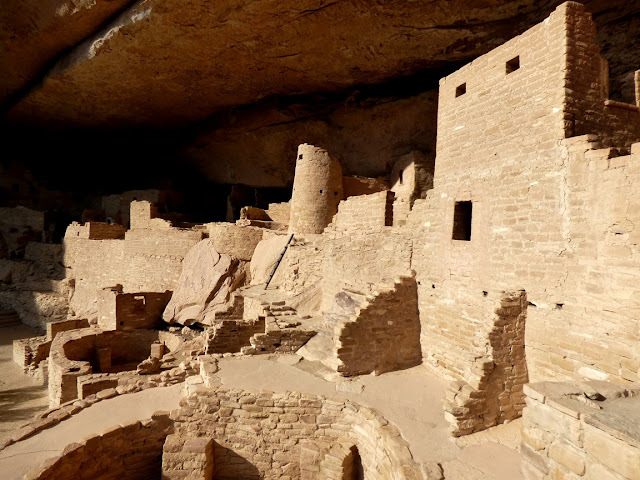 By the 1200s they were building the fortresses of the cliff-dwellings in Mesa Verde. It wasn't the culmination of their society, but the prelude to abandonment. Whatever the reason, the canyons fell silent around 1285. The people had migrated south and east into the Hopi mesas area and the riverlands of the Rio Grande in New Mexico. Cliff Palace in Mesa Verde National Park, one of the largest of the cliff cities. One of our stops was especially eerie. 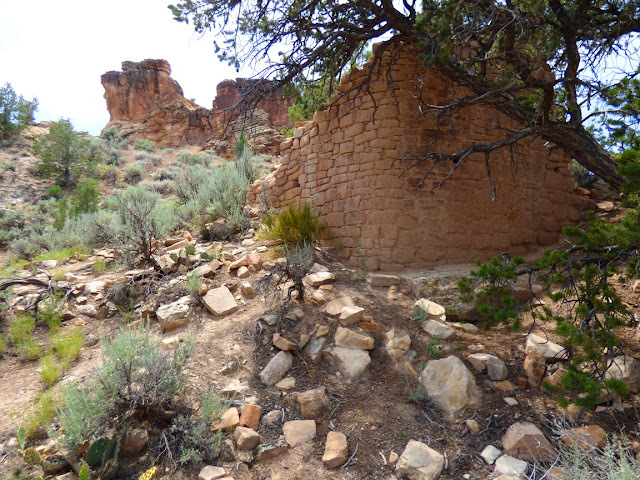 Castle Rock was one of the last of the Ancestral Pueblo dwellings to be constructed. It came to an end after only a decade or two with a massacre. Archaeologists discovered more than three dozen slaughtered people in the excavations. The last part of our trip went back to the geological aspects of the plateau country. Despite having visited the Natural Bridges National Monument nearly two dozen times over the years, this was the first time I was able to hike under Sipapu Bridge, probably the second largest natural bridge in the world. The opening is more than 200 feet high, and from the bottom, it is immense. Those are mature cottonwood trees in the picture below! We made the very hot hike to Horseshoe Bend near Glen Canyon Dam on the Colorado River. An entrenched meander, the loop formed when the land rose, trapping a river in its floodplain pattern. The stunning cliffs are composed of the Navajo Sandstone, the remnants of a Jurassic-aged sand dune "sea" that once covered many western states. 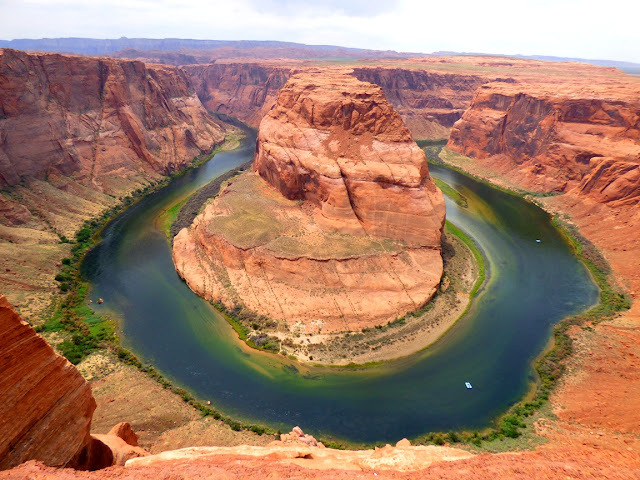 Horseshoe Bend, near Glen Canyon Dam. The Colorado River runs clear because the dam has captured the silt that once gave the river its name. Algae is able to thrive in the clear water. 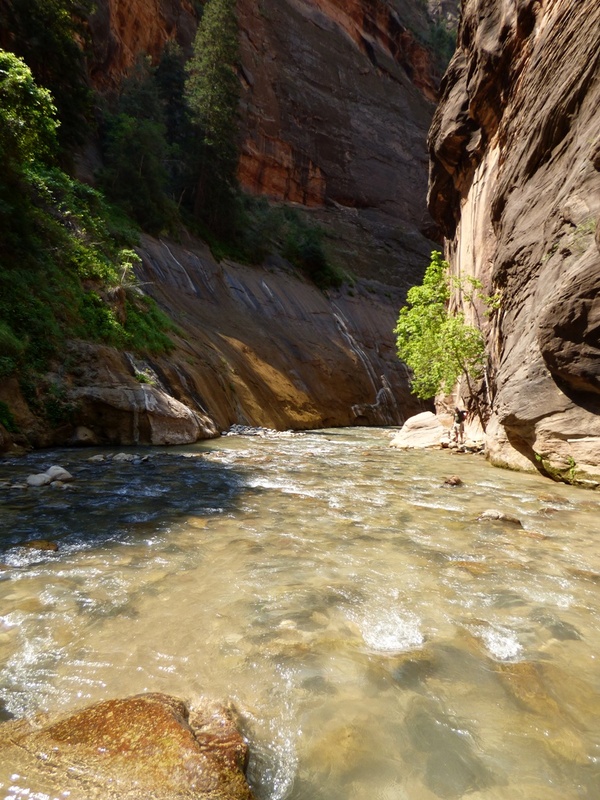 The culmination of the Navajo Sandstone is found at Zion National Park in southern Utah. 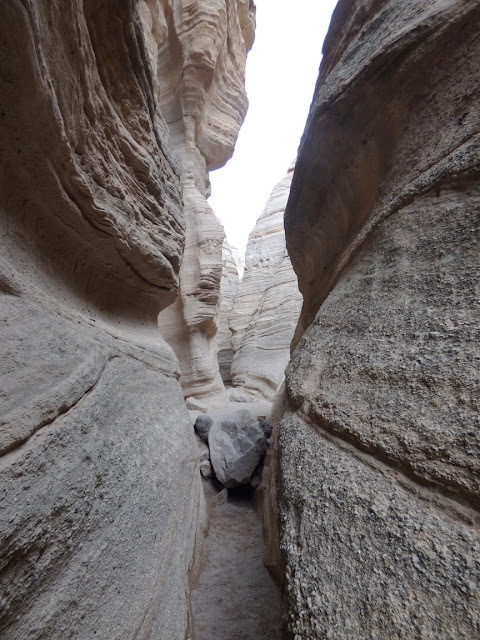 The Virgin River has carved an incredibly deep slot canyon at the Narrows. In many places the river fills the entire valley floor, meaning a hike is a wet affair. I didn't hesitate! So, I am home for a couple of days, and will try to pick up the pace with a few long-delayed blog entries. You can certainly expect more information from our last couple of trips in the plateau country as well! It's good to be home for a spell. I hope you had an opportunity after Zion to come by the St. George Dinosaur Discovery Site at Johnson Farm to see all our new additions and changes! Oh, we did! We stopped in on the 24nd, when it was about 109 degrees outside. It's a marvelous stop, and our students were impressed, which can sometimes be difficult on the 14th day of a trip!